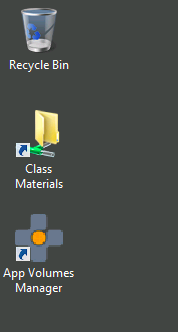 Open the Installation folder, right-click Setup, and select Run as Administrator. On the VMware App Volumes Installation Wizard page, click Next. 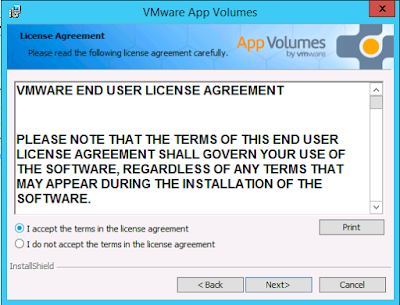 On the License Agreement page, accept the license agreement terms and click Next. 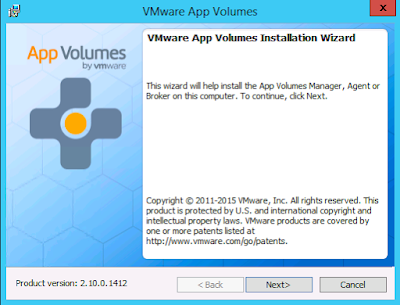 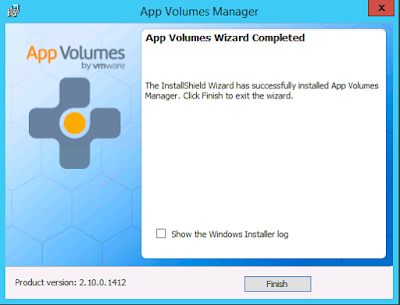 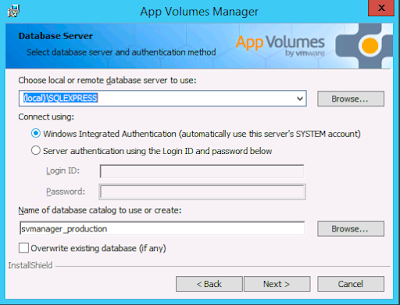 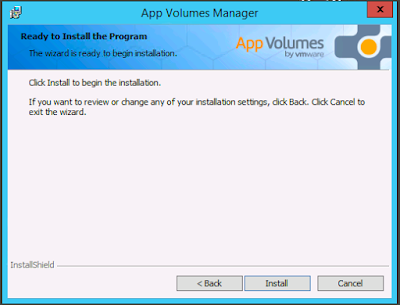 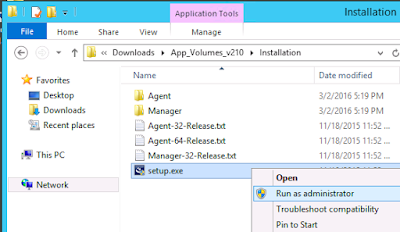 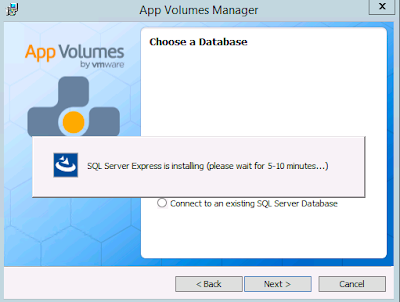 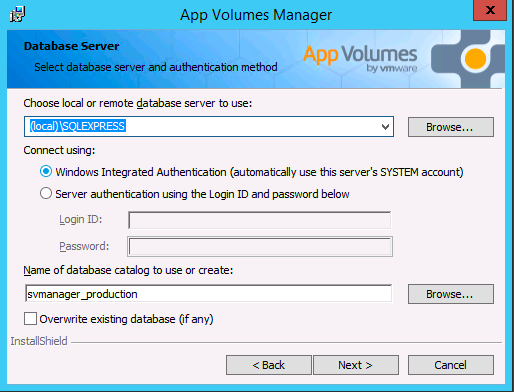 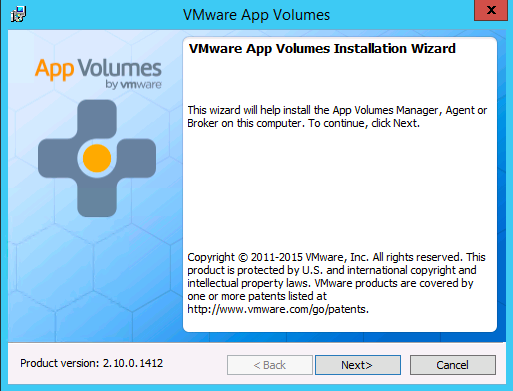 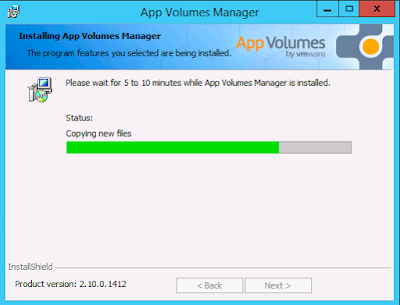 On the App Volumes Install Screen, select Install App Volumes Manager checkbox and click Install. 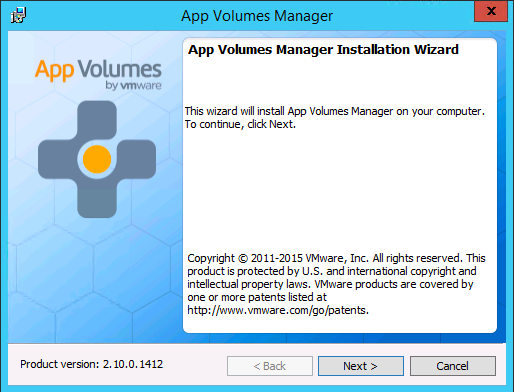 On the VMware App Volumes Manager Installation Wizard page, click Next. 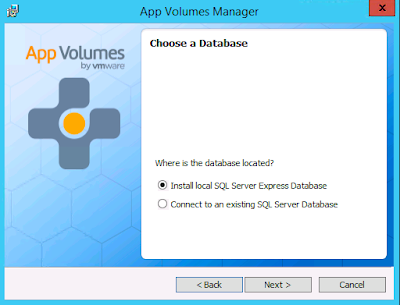 On the Choose a Database page, select Existing SQL Database Instance or Install local SQL Server Express Database and click Next (I have used SQL express DB for this demo). After SQL Express is installed, keep the default settings on the Database Server page and click Next. 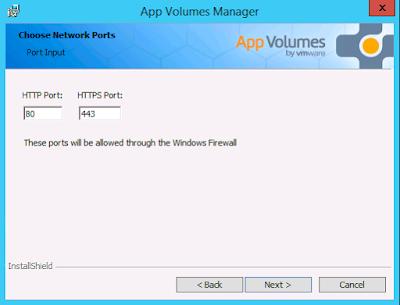 On the Choose Network Ports page, keep the default port settings and click Next. 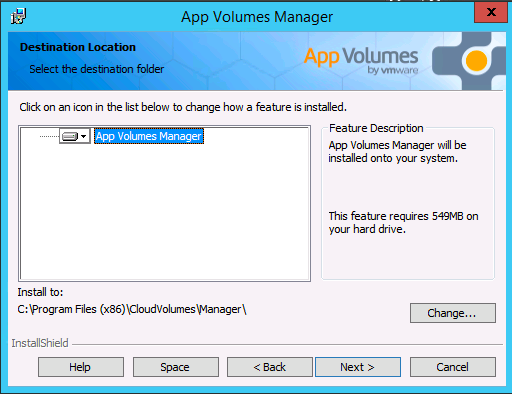 On the Destination Location page, keep the default settings or change the installation folder path and click Next. 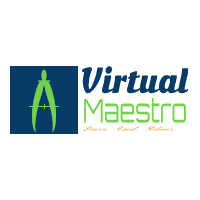 On the App Volumes Wizard Completed page, click Finish. 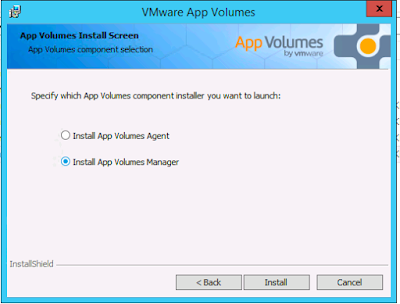 Verify that the App Volumes Manager shortcut is created on the desktop.